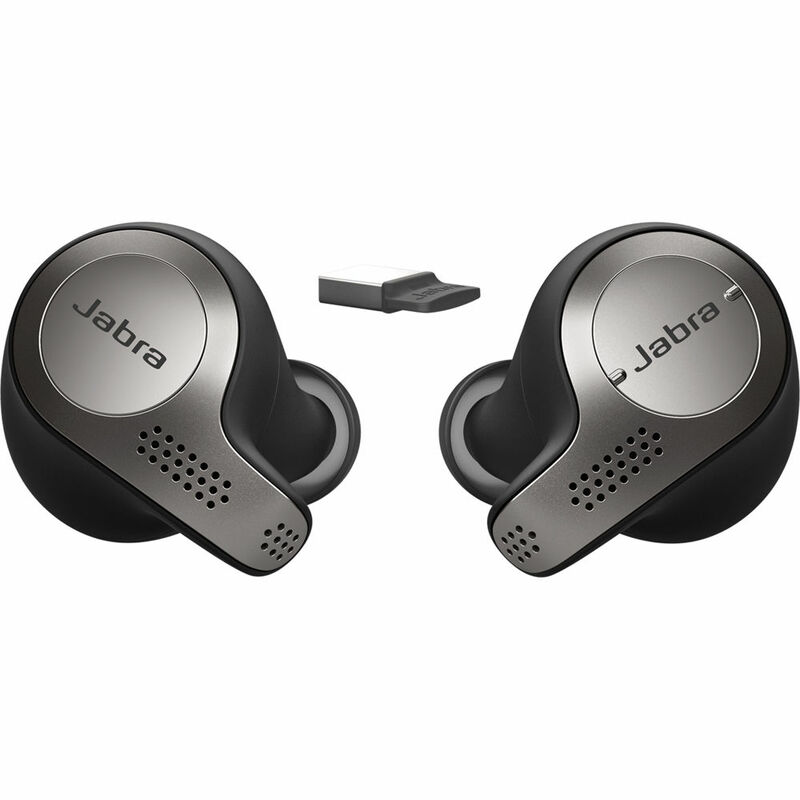 Jabra EVOLVE 65T UC Stereo earbuds is a professional grade headset designed for users who needs to communicate with computer softphone and listen to music. 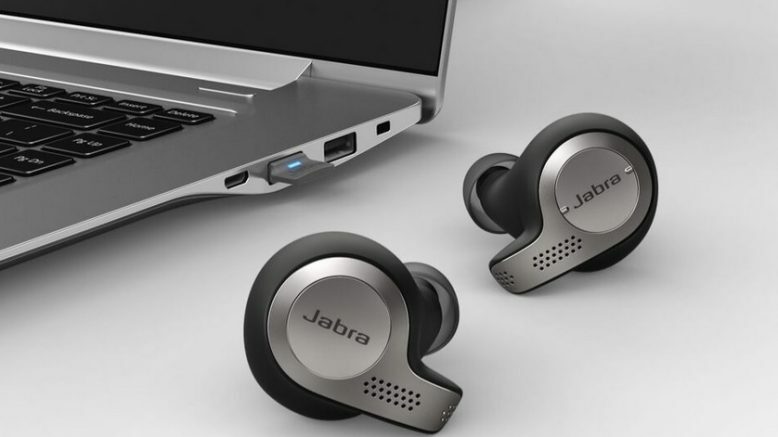 It has 4 noise-canceling microphones. 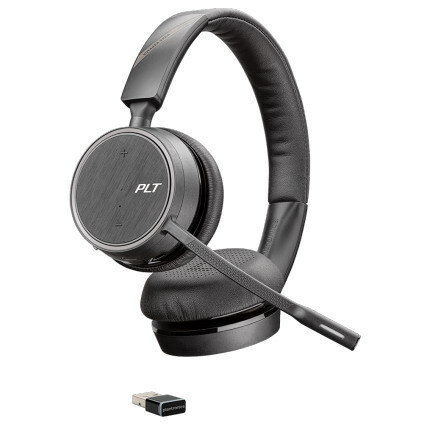 Noise canceling to block out background noise. 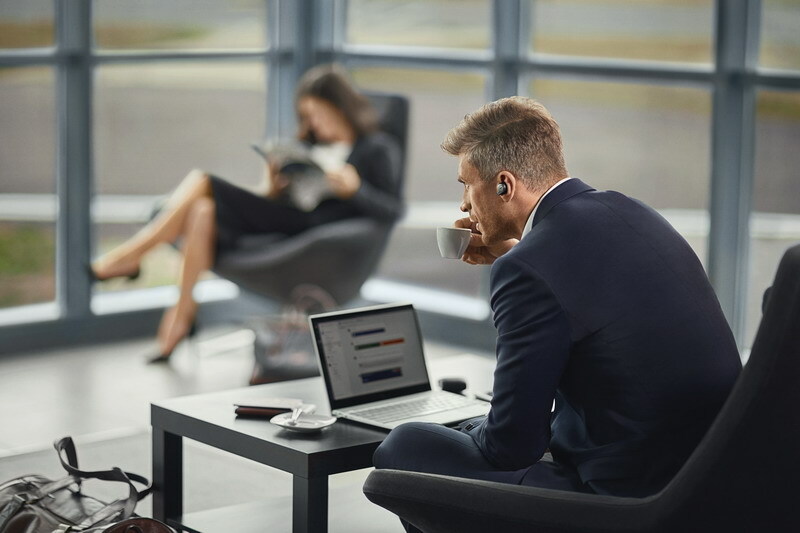 Jabra EVOLVE 65T allows you to connect as a wireless earbud to a PC with the included Link 370 USB adapter. 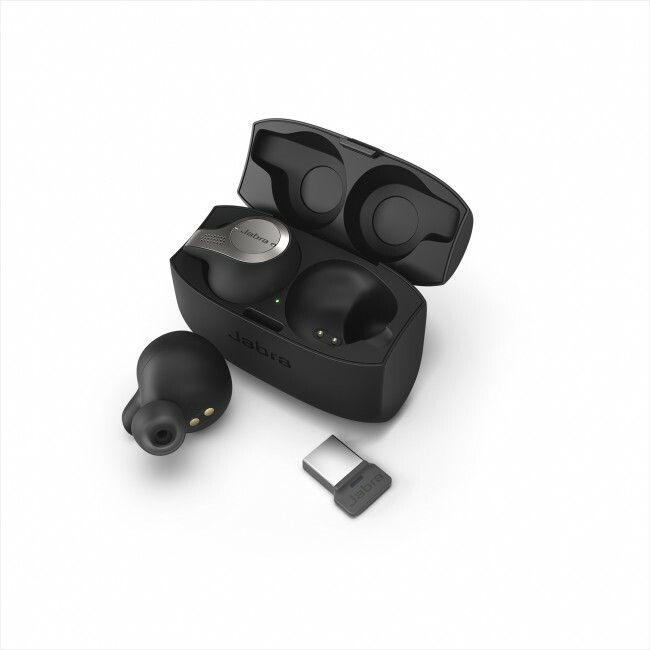 Bluetooth connection with any smartphone (like iPhone, Galaxy) or a tablet When you are away from the office, these earbuds become a great stereo music earbud. When fully charged, it has 5 hours of battery time. Compatible with Amazon Alexa, Apple Siri, and Google Assistant. One-Touch Access to Voice Assistants for Amazon Alexa, Apple Siri, Google Assistant.